Be a BombShell Eyeshadow Palette Full Size In the Color Madrid – Which contains the colors Starlet, Risky Business, Birthday Suit, Tempted Formula: A high pigmented long lasting formula for all day wear. Bombshell Application: To use as an eyeliner wet the tip of your brush dip end into the shadow and apply on lash line. For base colors, blend shadow from lash line to brow bone with a wide shadow brush using gentle upward strokes. 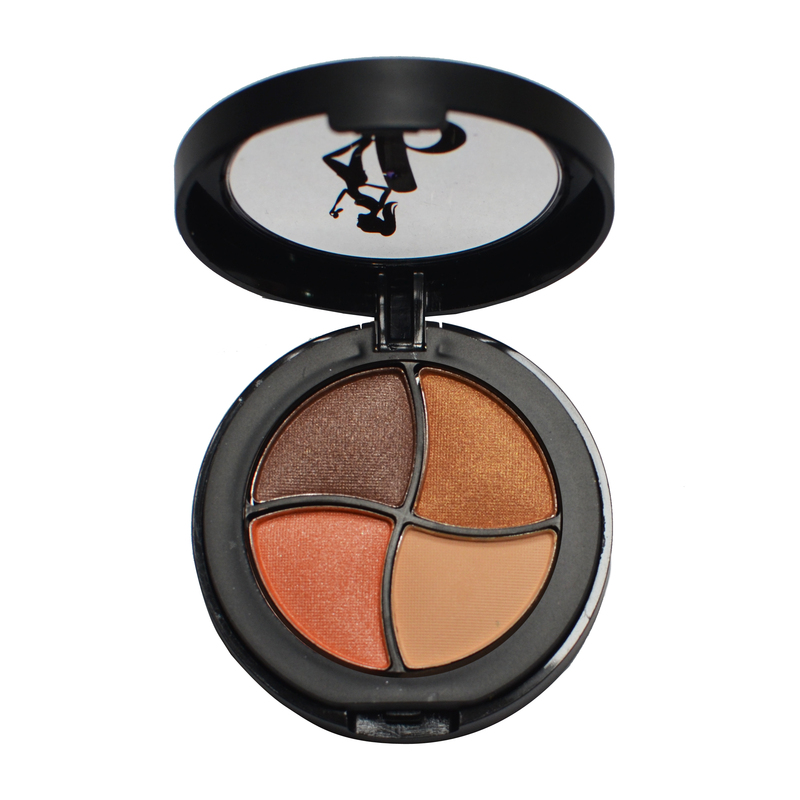 For accent colors, blend shade in the outer crease of your eye gently working inward. Gently blend base and accent colors together using light, feathery strokes. For highlighting gently brush under brow bone.